A tolerance is the total permissible variation of size. where the tolerance is the difference between the limits of size. Engineering ToolBox, (2008). 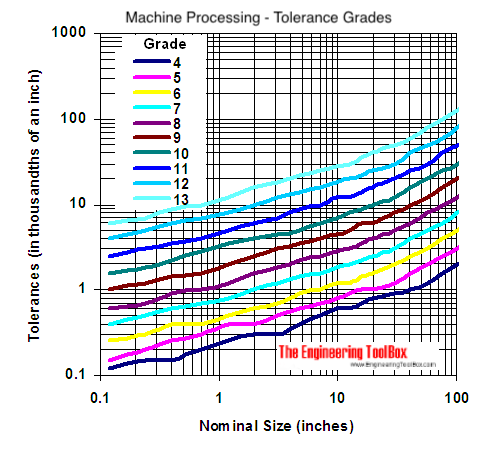 Machine Processing and Tolerance Grades. [online] Available at: https://www.engineeringtoolbox.com/machine-processes-tolerance-grades-d_1367.html [Accessed Day Mo. Year].